Santana Grove is mini-commercial area located along Sucat Road in Paranaque. It’s a good place for a stopover on the way to Baclaran or Mall of Asia or vice versa. It’s also close to several popular nearby destinations including Loyola Memorial and BF Homes Paranaque. You can drop by to rest, shop, dine, and even to answer nature’s call! 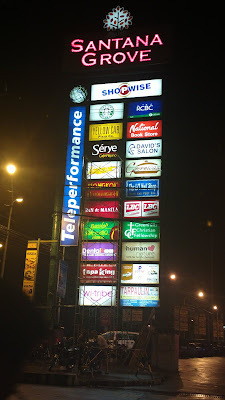 The features Shopwise for shopping (with National Book Store and Shakey’s below) and provides several restaurant options for dining including Star Bucks, Yellow Cab, Bacolod Chk-N-BBQ House, Chowking and a 24 hours open Jollibee along with several other restos and even a bar. On the second floor, you’ll find a David’s Salon branch. 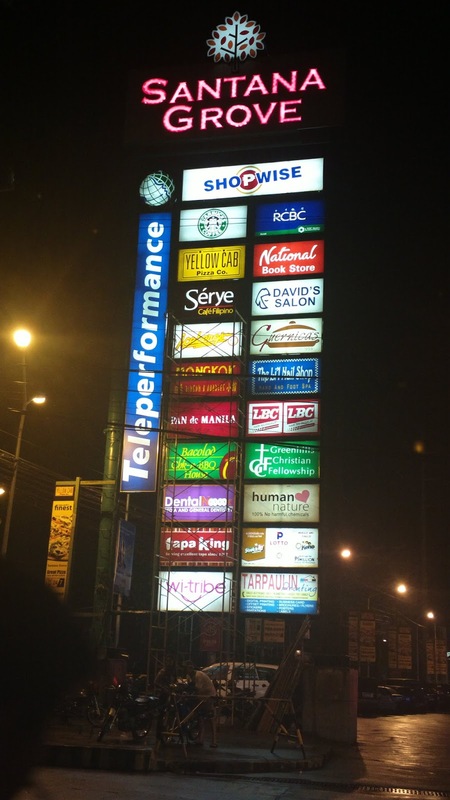 Behind the commercial establishments, you’ll find Teleperformance Sucat where I used to work. Santana Grove is located along Sucat Road, Dr. A. Santos Ave., Paranaque.